LOS ANGELES, CA (November 26, 2018) – BOOM! 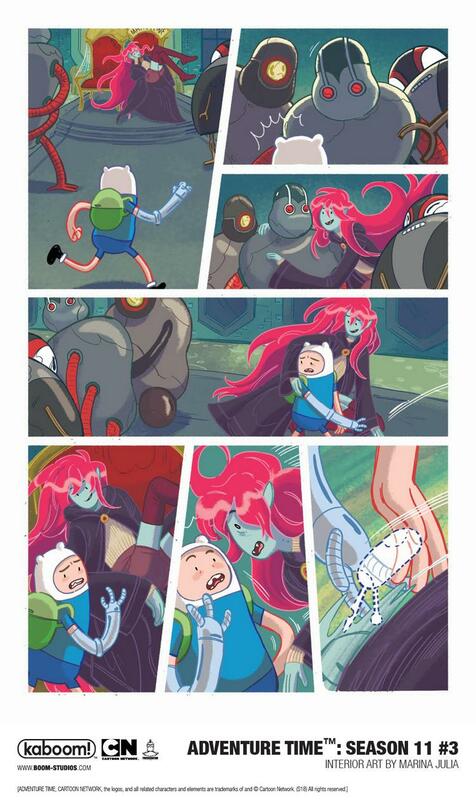 Studios today unveiled a first look at ADVENTURE TIME™ SEASON 11 #3, the official comic book continuation of the Emmy® Award-winning Cartoon Network animated series. 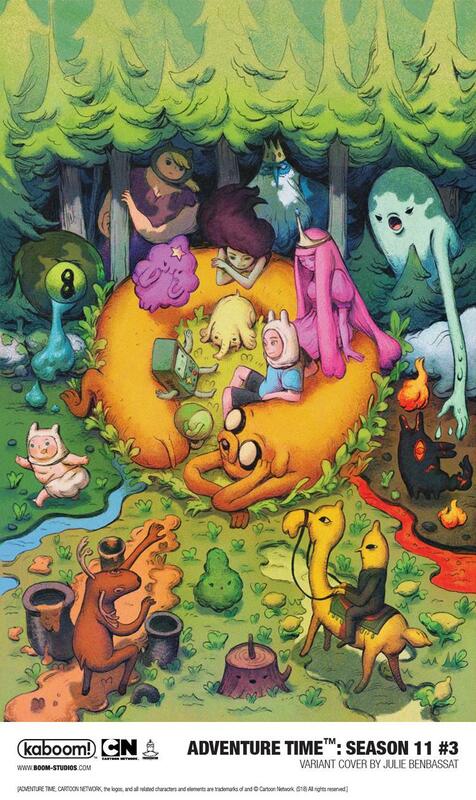 The story of the Land of Ooo continues on exclusively in comic book form from the writing duo of Eisner Award-winner Sonny Liew (The Art of Charlie Hock Chye) and Ted Anderson (My Little Pony), along with artist Marina Julia (Lumberjanes: Faire and Square). 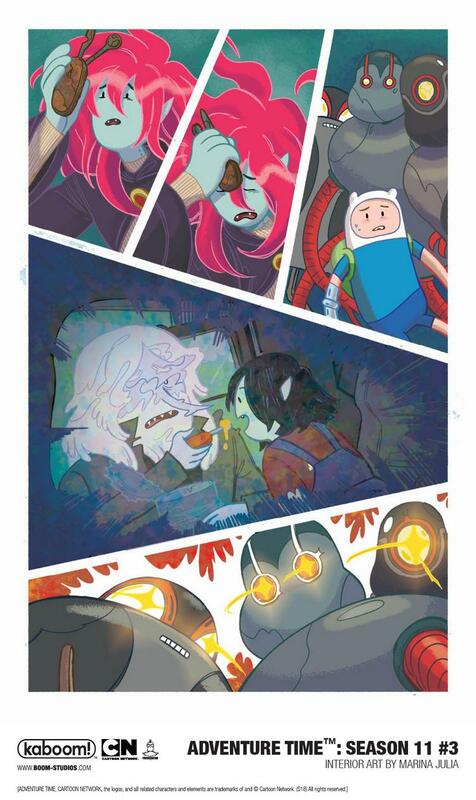 Jake and Finn continue their quest to save future Marceline from the ravages of time but find out that the really super creepy Three are up to no good! 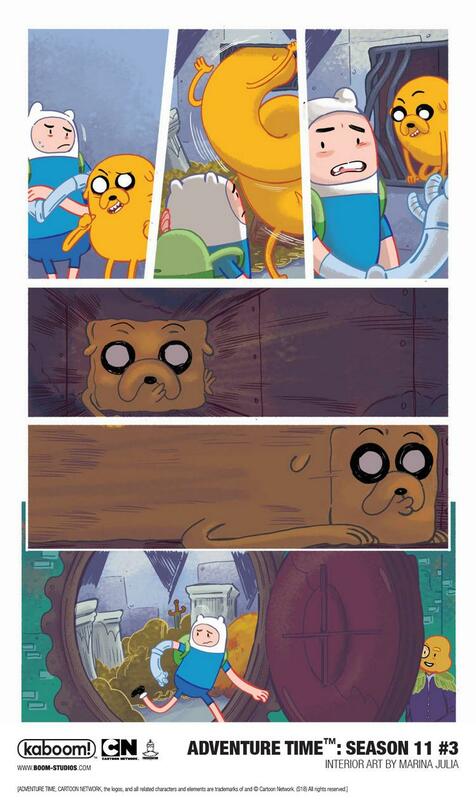 What else will turn up in this mysterious future version of Ooo? BOOM! 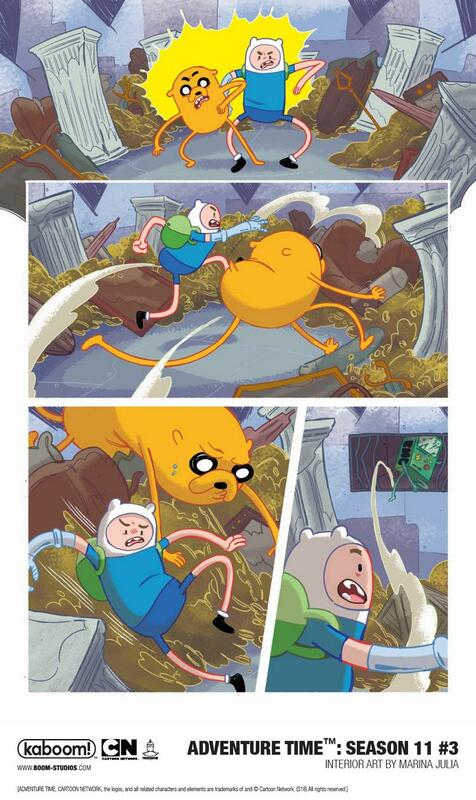 Studios has been publishing the New York Times bestselling Adventure Time™comic books and graphic novels through their KaBOOM! 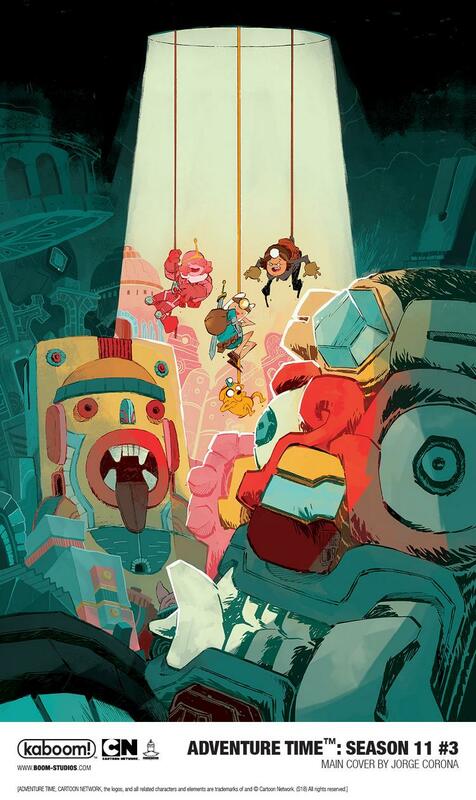 imprint for middle grade readers since 2012 and been honored with Eisner, Harvey, and Diamond Gem Awards for the series. 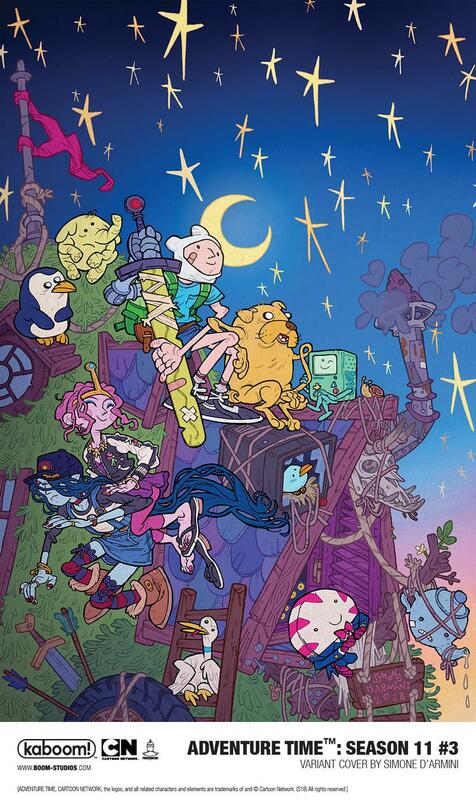 ADVENTURE TIME™ SEASON 11 #3 features a main cover from Jorge Corona (Big Trouble in Little China), along with variant covers by Simone D’Armini and Julie Benbassat. 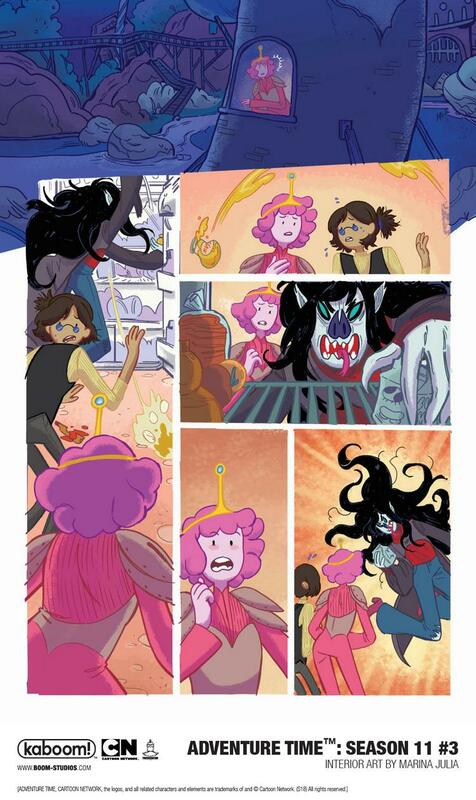 Print copies of ADVENTURE TIME™ SEASON 11 #3 will be available on December 12, 2018 at local comic book shops (use comicshoplocator.com to find the one nearest you), or at the BOOM! Studios webstore. Digital copies can be purchased from content providers like comiXology, iBooks, Google Play, and the BOOM! Studios app.